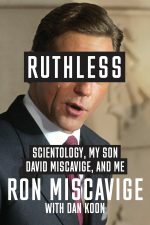 RON MISCAVIGE is the father of David Miscavige, the leader of the Church of Scientology. Ron and his family joined Scientology in 1970, and he worked for the Sea Org for almost 27 of those years before leaving the Church entirely in 2012. He is a Marine veteran and professional musician, and he lives in Milwaukee, WI, USA. His book Ruthless will be published on 3 May 2016.